Background: The cervical vasculitis is rare and can appear on healthy subjects or on the background of another autoimmune disease. There is insufficient evidence for the role exogenous hormones might have in the acute onset of this condition. Case report: A 27 year old nulliparous woman known having ankylosing spondylitis (AS) for the past eight years was seen as an emergency in gynecology ward with severe vaginal discharge and a necrotic inflamed cervix highly suspicious of malignancy. The histology of the loop excision of the transformation zone (LLETZ) specimen revealed acute vasculitis of the cervix. No cervical dysplasia was identified. 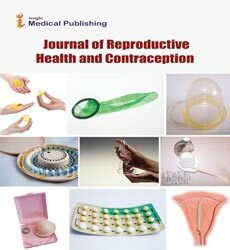 There was no alteration in the medical history prior to this event apart from the recent change of contraception to injectable medroxyprogesterone (MPA) from combined oral contraceptive (COCP). Conclusions: Isolated vasculitis of the genital tract is rare. The association with an autoimmune disease is possible. The progestins have complex modulator action on inflammation and autoimmunity, however, the link with this condition has not been mentioned in literature before..